Wiener Apfelstrudel is a classic Viennese apple dessert that you probably know by the name of Apple Strudel. 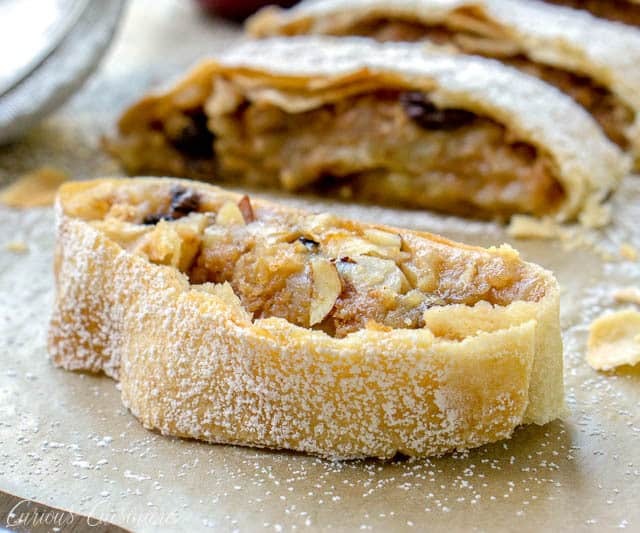 Flaky layers of strudel dough encase a bright fall apple filling that is studded with raisins and almonds. 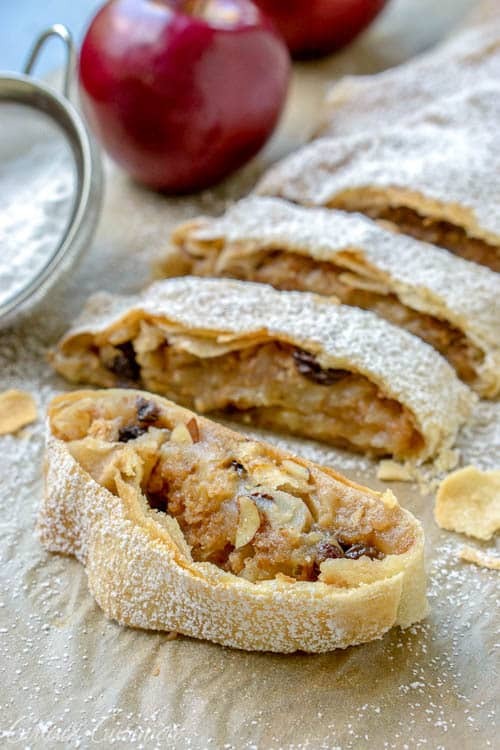 If you love apple pie, apple strudel is sure to be a winning recipe! Wiener Apfelstrudel (pronounced VEEN-er ap-FEL-stru-del) is the proper name for Apple Strudel, attributing it to its place of origin: Vienna, Austria. 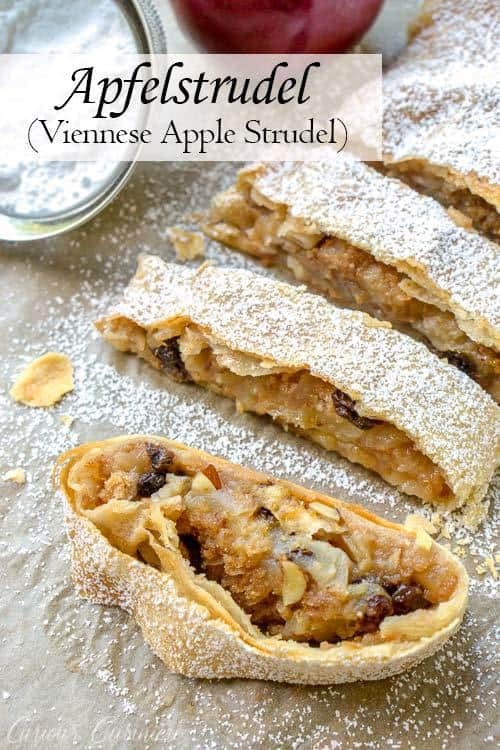 Apple strudel is to Austria what apple pie is to America. 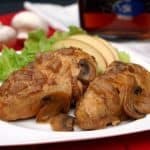 Kind of a national dish, with many variations, and a lot of love and popularity. Austrians took inspiration from these pastries and made them their own. 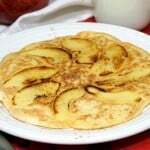 Most often they rolled fillings, sweet and savory into a paper thin pastry. In fact, the name strudel is the German word for whirlpool or eddy. The name comes from the way the the dough and filling creates a spiral effect in the finished pastry. While strudel is Austrian in origin, it has gained popularity throughout European countries. Which is why there is often some confusion as to whether apple strudel is German or not. 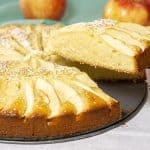 It’s not surprising really, since Germans do like their apple desserts, like this German apple cake. 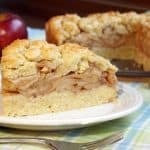 What Is The Difference Between Streusel And Strudel? While the names sound quite similar, strudel and streusel are quite different. Strudel is a rolled pastry made with thin layers of dough that encases a filling. 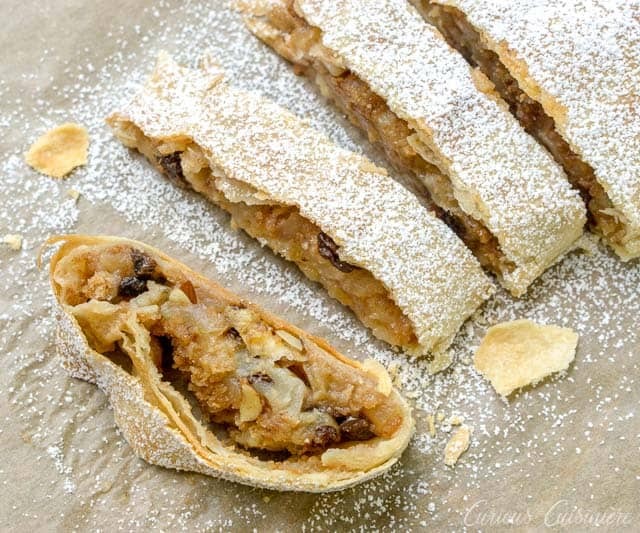 Strudel can be sweet (filled with apples, cherries, nuts, sweet cheese, poppy seeds, etc) or savory (filled with meat, cabbage, squash, etc). 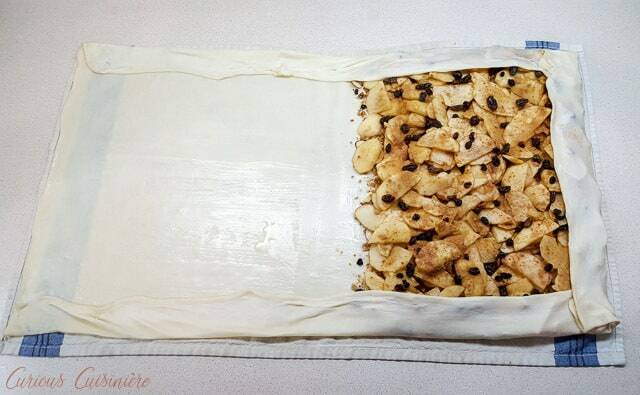 How Do You Make Apple Strudel? The process to make apple strudel does come with quite a few steps, and while none of them is particularly challenging, some do require a bit of patience. Slice the apples and mix the filling. All of the ingredients for apfelstrudel can be prepared ahead of time, and honestly, this is our favorite way to make strudel. Day one: prepare the dough, the breadcrumbs, and the apple filling. Day two: let the dough come to room temperature, then stretch, fill, and bake. While you can definitely make it all in one day, I find that if done in two days, making apple strudel is must less of a daunting task. Strudel is made with, you guessed it, strudel dough. And, it is a very special type of dough. Strudel dough is a very simple dough that is kneaded until silky smooth. What makes it special is that this is a very sturdy dough that can be stretched paper thin. To achieve this, we add a bit of vinegar to our dough. The acid helps relax the gluten (wheat proteins), making the dough much easier to stretch. Is Strudel Pastry The Same As Filo Pastry? When you think of paper thin dough, filo pastry dough might come to mind. Filo (or phyllo) is another type of paper-thin pastry, and does hearken back to the Ottoman Empire origins of strudel. 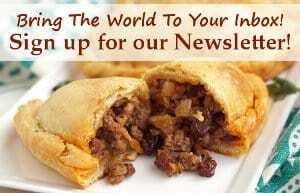 But, for traditional strudel filo pastry is not the dough that is used. 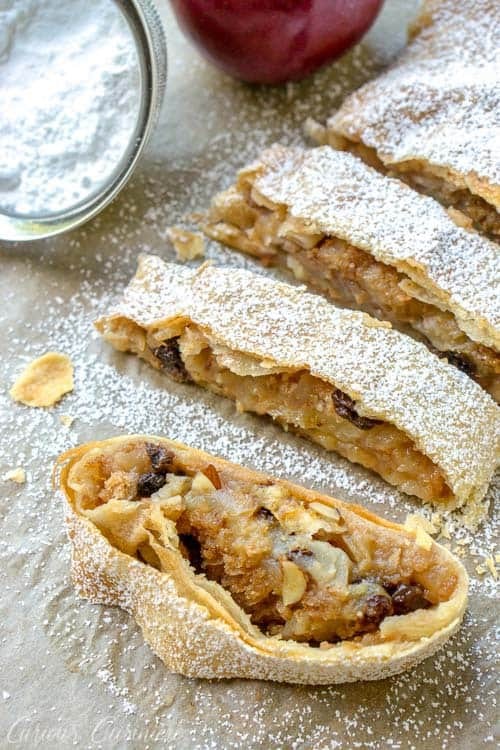 However, since strudel dough requires a bit of patience to work with, filo pastry (or even puff pastry) is sometimes used instead of the traditional strudel dough. If you decide to use filo dough for your strudel, you will want to layer 5-7 fresh (thawed) sheets together with melted butter brushed between the layers, like you do if making tiropita. 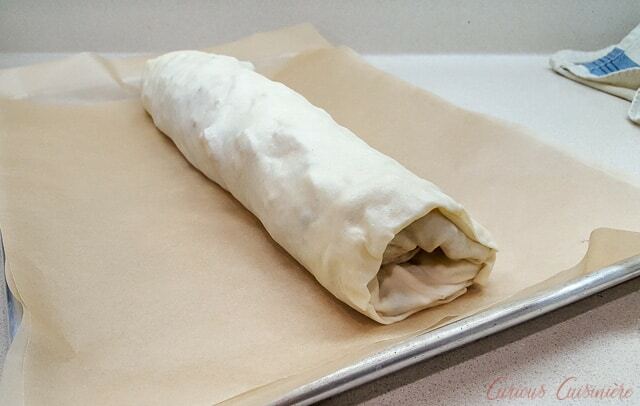 If you decide to us puff pastry, the thawed pastry should be rolled to 1/8 inch thick. As I have alluded to, stretching the strudel dough is the one step that does require some patience. But, it’s definitely not a step to be dreaded. The dough in our recipe below is a dream to work with. When room temperature and relaxed, it is perfectly stretchable. Slow and steady is definitely the mantra when stretching strudel dough. I like to stretch the dough using the palm of my hands, pulling outward gently with my fingertips. But, many people prefer to use the backs of their hands. First, start by rolling the dough into a square that is roughly 10×10 inches. After this point, transfer your dough onto a large, clean, tea towel to continue stretching your dough. 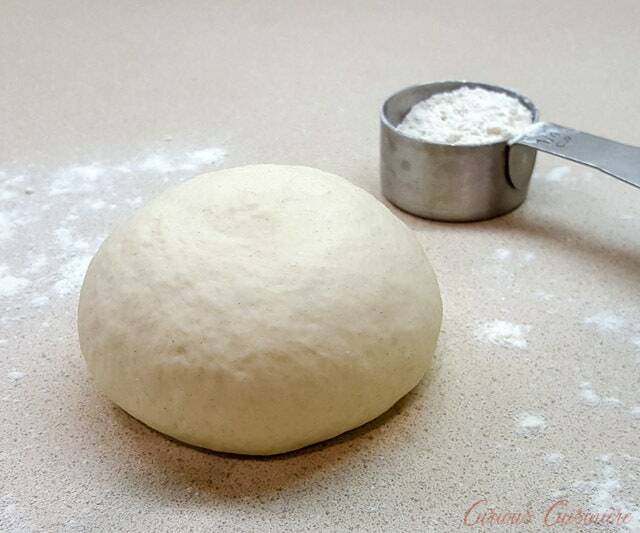 The towel helps you stretch the dough without sticking, and it becomes essential later in the rolling step. Don’t doubt the dough. If it has been left to rest/relax for 1 hour, the gluten (wheat proteins) in the dough will be able to stretch. Gently stretch the dough, working in one direction around your rectangle in order to let the stretched portions rest for a few minutes before being stretched again. Once your middle is stretched as thin as you dare, be sure to stretch the edges as well. These can be done by a gently pulling. It took me 30 minutes to stretch our dough to about 26×18 inches. 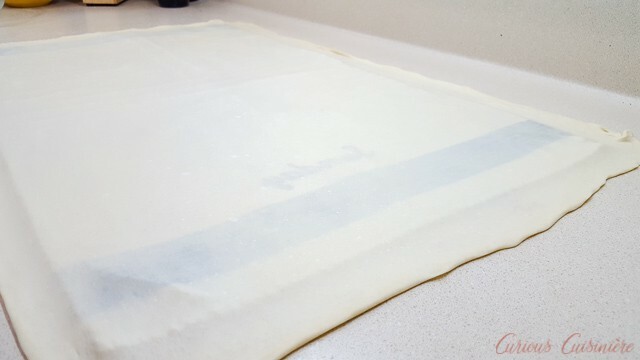 Even if your finished dough isn’t completely see-through, you should be able to at least see the pattern of your dish towel through the dough. It really is important to get the dough as thin as you can, because the thinner the dough, the flakier your strudel will be. These apples are sliced closer to 1/4 inch, but slicing your apples around 1/8 inch will make rolling your strudel much easier. Apple strudel is traditionally made with a sweet and tart apple, like McIntosh. 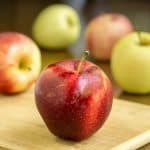 However, while McIntosh apples have a great sweet-tart flavor, we don’t like how they cook down incredibly soft, leaving your strudel filled with apple sauce, rather than a nice, layered apple structure. 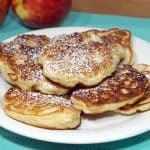 A few McIntosh add great flavor and their cooked texture is great to bring the apple filling together though. 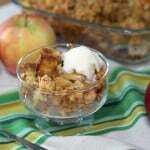 So, we like to combine them with a more firm baking apple like Gala, Cortland, or Jonagold. 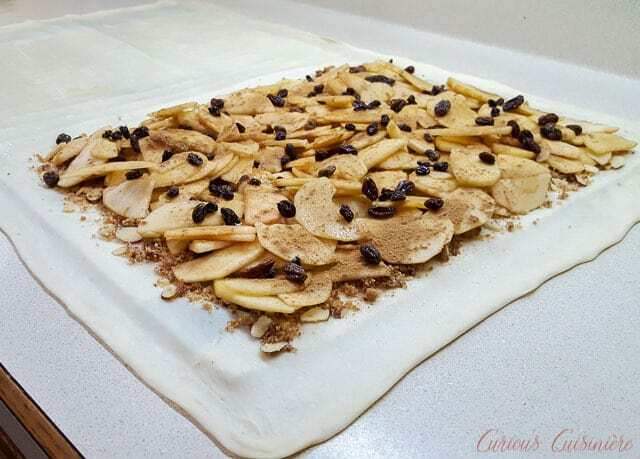 An essential part of filling for apfelstrudel is a layer of toasted, sweetened breadcrumbs that you sprinkle on the dough before adding the apples. While these breadcrumbs do add a little flavor and sweetness to your strudel, their purpose is more for function than for flavor. 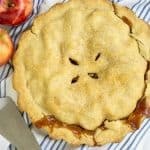 The breadcrumbs soak up any moisture that the apples release as they bake, acting as a buffer between the moist inside and the pastry, which needs to be dry in order to be perfectly flaky. How Long Does Apfelstrudel Last In The Fridge? As with any dish that contains flaky pastry, apfelstrudel is best eaten the day is is baked. Once refrigerated, the pastry does soften and loose some of its flakiness. However, leftover pastry will stay good for up to a week in the fridge. To be honest, the first time I made strudel it took me two tries to get the strudel dough stretched just right. The first time, while the dough stretched nicely, I didn’t stretch the edges as thin as I should have, so parts of the pastry were tough. The second time, I had more faith in the dough, and stretched it much thinner. 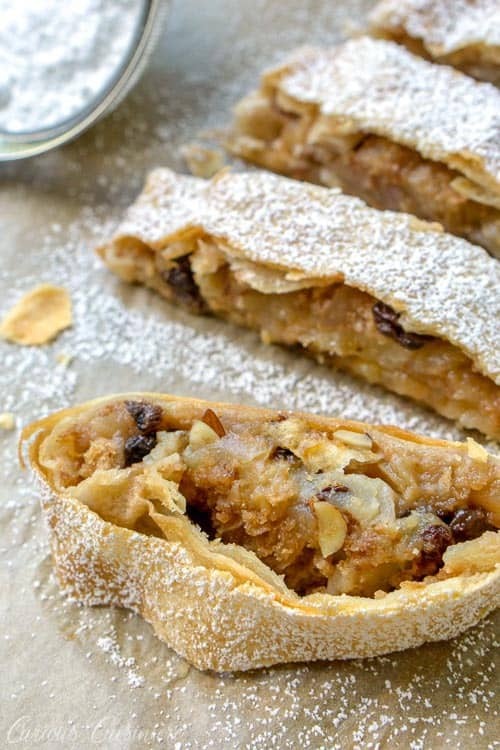 The result was a wonderfully flaky strudel, filled with sweet-tart apples, and studded with raisins and almonds. Everything just the way it should be. Let the strudel cool 1 hour before dusting with powdered sugar and slicing to serve. In a medium bowl, mix the water, oil, and vinegar. Add 1 ¼ cup flour and the salt. Mix until the dough starts to come together. Turn the dough out onto a countertop and begin kneading the dough, adding as much of the remaining ¼ cup of flour as is needed to create a smooth dough that does not stick to your hands. Continue kneading the dough with your hands until very smooth and elastic 15-20 minutes. While the dough is resting, make the parts to your filling. In a small bowl, mix the raisins and rum (or water). Set aside until the raisins are plump, 20 minutes. Heat 4 Tbsp of butter in a medium skillet until melted. Add the breadcrumbs and sauté over medium heat until golden. 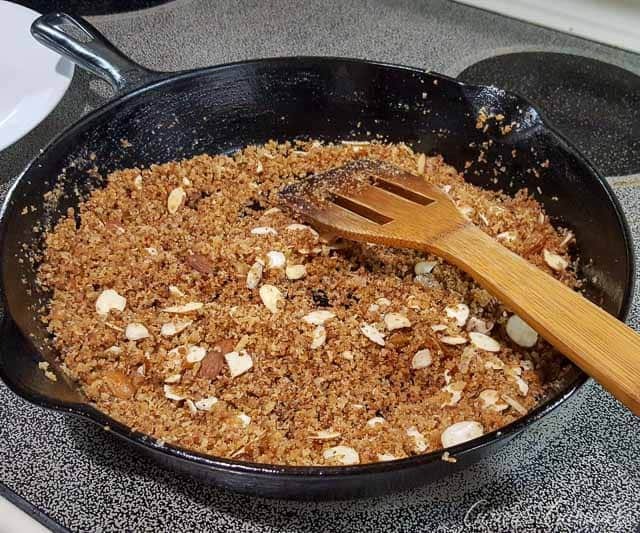 Add the sugar and sliced almonds, mixing until the sugar is incorporated into the breadcrumbs. Transfer the mixture to a bowl to cool. 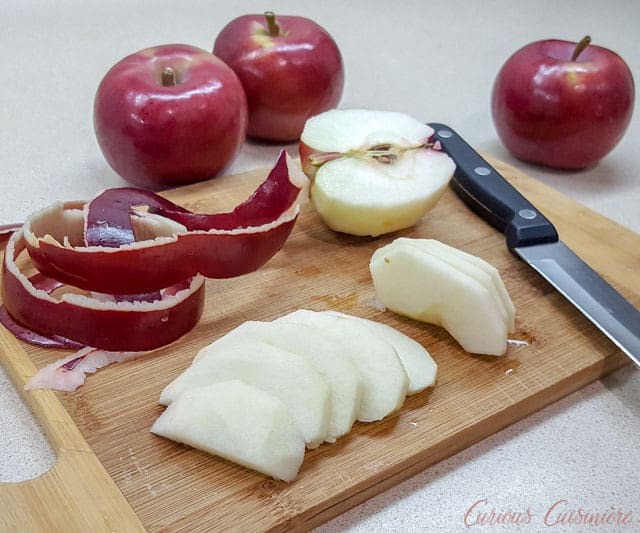 Peel, core, and slice the apples to roughly ⅛ inch thickness. Place the sliced apples in a large bowl and add the lemon juice, vanilla, and cinnamon. Drain the raisins and add them to the apples. Mix and set aside. Gently brush half of the dough rectangle with melted butter. Sprinkle an even layer of the breadcrumb mixture on to the other half, leaving a 2 inch border. Distribute apples over the breadcrumbs, leaving the border clean. 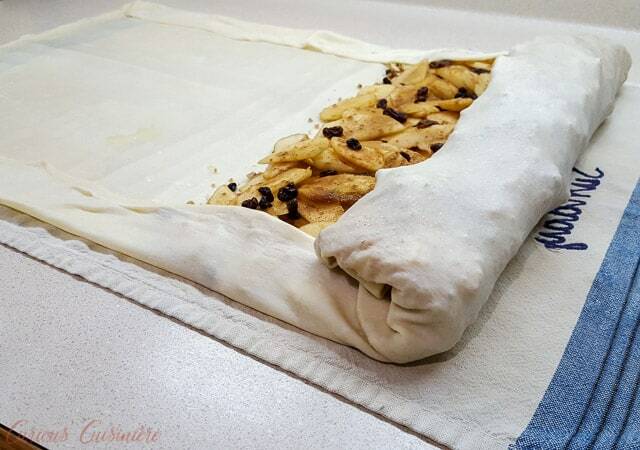 Fold the long sides of the dough up and over the filling. Fold the short side of dough up and over the filling. Roll the strudel starting from the short edge of the filled side, using the towel as support. 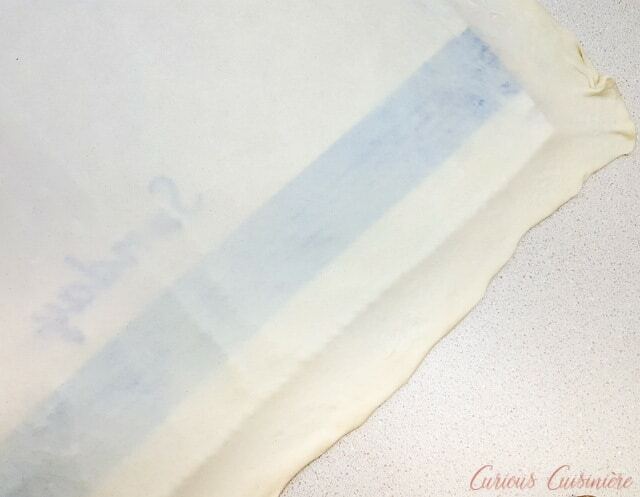 Place the rolled strudel on a parchment-lined baking sheet, seam side down. Gently brush the strudel with melted butter. Place it in the preheated oven and bake for 40-45 minutes, until golden. When golden, remove the strudel from the oven and let it cool for 1 hour before dusting with powdered sugar to serve. What a lovely dessert and great walkthrough to make it. 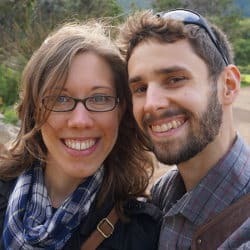 I”m pinning this to try soon. We’ll be apple picking and we need lots of options to use up all the apples! We hope you enjoy it! Apple picking is a fall tradition for us. It’s the perfect way to celebrate fall!